To increase the range of effective solutions for flexible PVC doors, DMF International has introduced some options for their Visiflex Strip Doors. There are applications whereby the static strip door is not satisfactory, having a requirement for the PVC strips to be opened at times. DMF can now provide an accordion type opening mechanism for the PVC strips, either by manual operation, or by DMF’s new Auto BiFlex door. 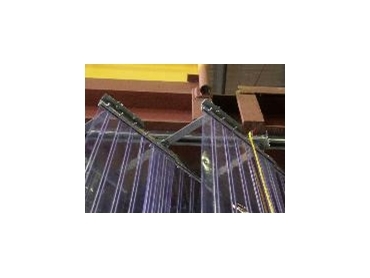 This feature offers many advantages, the main one being preservation of the PVC strips’ life. Wide openings of over 8m can be accommodated, and the opening action can be either bi-parting or single parting. These can therefore be considered for partitioning, dock areas, machinery enclosures, or general access openings.